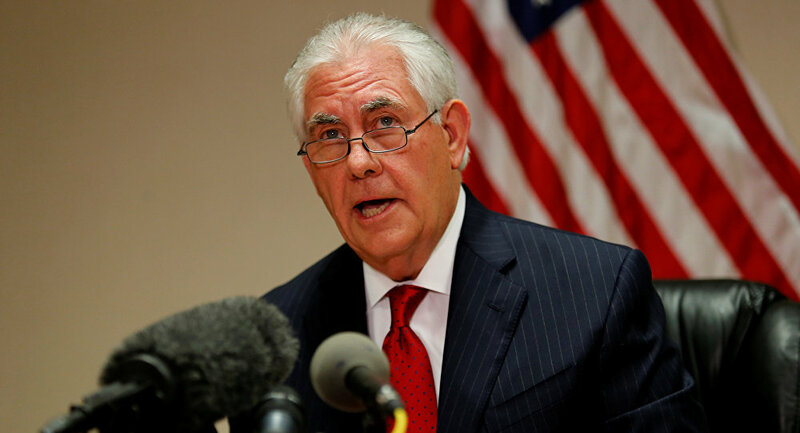 A group of US Republican senators in a letter on Wednesday called on Secretary of State Rex Tillerson to reject certifying that Iran is fulfilling its obligations under the Joint Comprehensive Plan of Action regarding its nuclear program. WASHINGTON (Sputnik) — The Iran Nuclear Agreement Review Act of 2015 (INARA) requires the US president to confirm to Congress every 90 days that Tehran is adhering to the terms of the deal. If the administration determines that Iran breached the accord, the United States can re-impose sanctions. "We write to urge that you not certify that US sanctions relief for Iran is in the vital national-security interests of the United States or that Iran is complying with the terms of the Joint Comprehensive Plan of Action ("JCPOA")," the letter stated. Tillerson certified Iran's compliance in April. However, the senator contended that the full suspension of punitive measures against Iran would threaten US national security. They claimed in the letter Tehran is currently operating more advanced nuclear centrifuges than it is allowed under the JCPOA and has frequently exceeded the limits on its heavy water stocks. The letter was signed by senators Marco Rubio, Tom Cotton, David Perdue, and Ted Cruz. The Joint Plan of Comprehensive Action (JCPOA) was concluded in July 2015 between Iran, the European Union and the P5+1 group of nations: the United States, Russia, France, Germany, the United Kingdom and China. Under the terms of the agreement, nuclear-related sanctions on Iran were lifted in exchange for assurances Tehran’s nuclear program would remain peaceful.